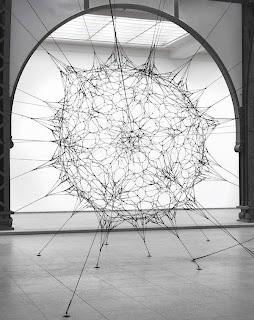 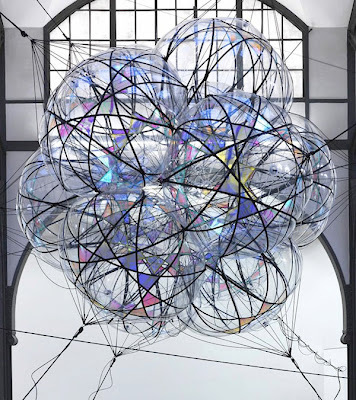 Tomás Saraceno, it seems, is fascinated by the idea of flight, clouds and floating judging from his work. 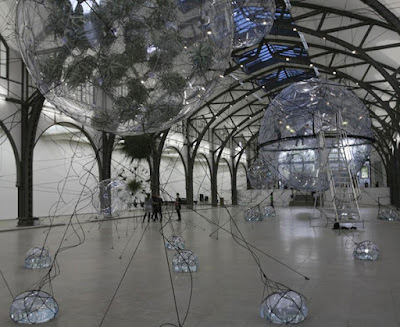 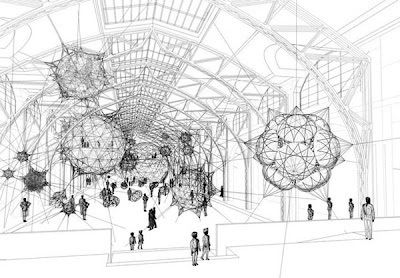 This particular exhibition called 'Cloud Cities' in Berlin is no exception. 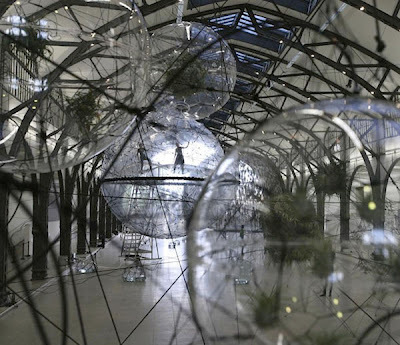 The installation invites people to enter these biospheres (suspended only be wire cables) and experience the sensation of 'walking on air'. 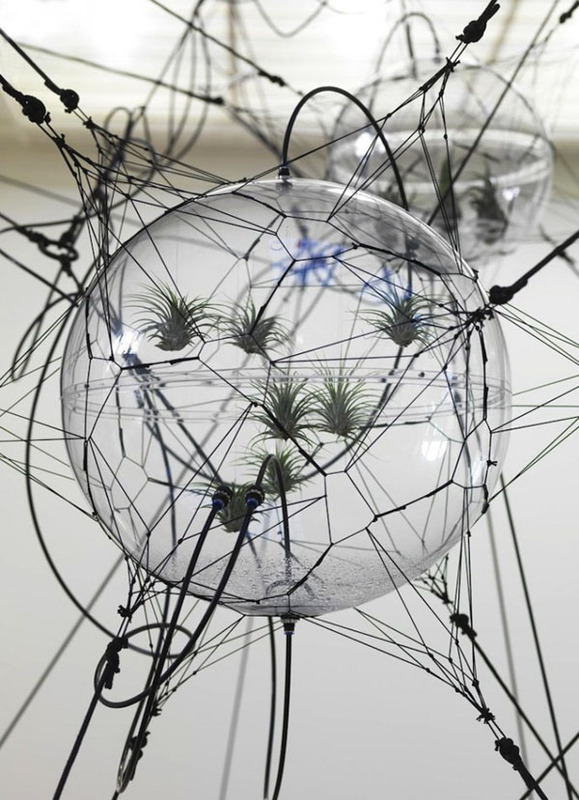 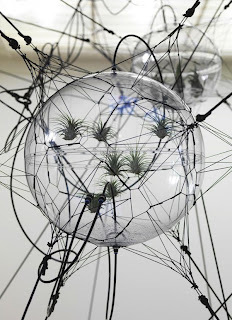 His work also explores how people interact and change the environment as someone else's interaction will affect your movement and changes to this environment will be sensed. 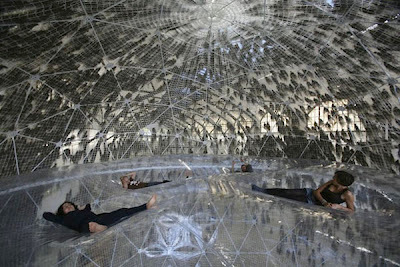 This is such an interesting installation I really wish I could be there to experience it.